Huge Savings Item! 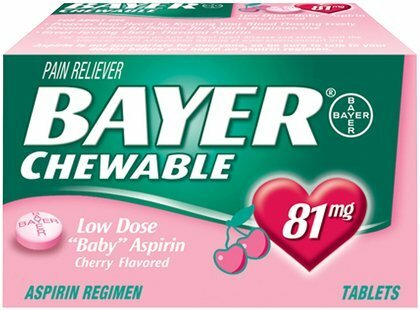 Save 13% on the Bayer Chewable Low Dose Aspirin Tablets 81 mg-Cherry-36 ct. (Pack of 6) by Bayer at HQ Health Blogs. MPN: SP-15126. Hurry! Limited time offer. Offer valid only while supplies last.